I like that it is lightweight,hydrating and the results from their study are pretty impressive! I use this every night before bed…I’ve already bought my second one, and I love it! Makes my neck smooth! I have my moms neck unfortunately so I love it smoothes and tightens. I actually want to get it for my Mom as a gift. She has tried everything, but nothing is helping. If this works…that would be amazing! I can see less sagging on my neck line and tighter more soften skin there. It sounds amazing and I would be inspired to use it all the time. Well I have some sagging skin, so the fact that this could tighten it is exciting. I’m super excited about this because my neck is looking my age! 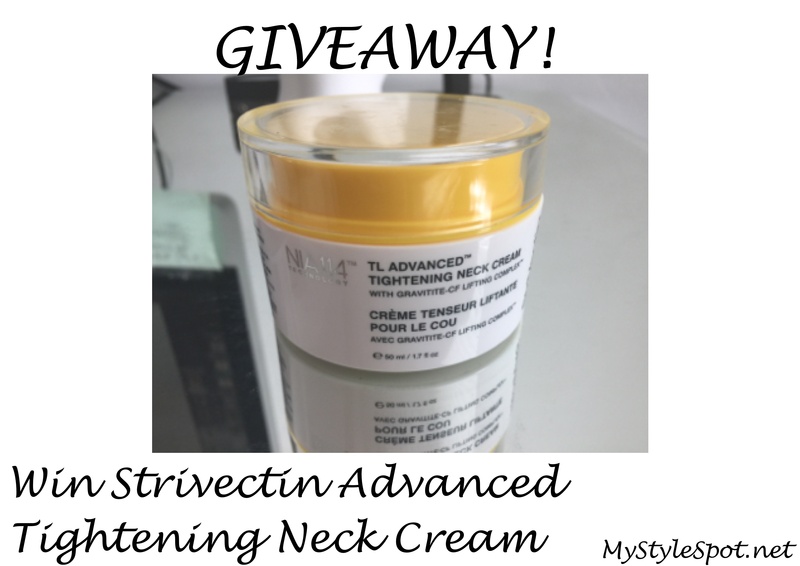 I am excited to get rids of some sagging around my neck plus its from Strivectin. I’ve tried the under eye cream from Strivectin, so I know the product is good quality. I’m really hoping I win so I can try this product too. I really like the stats about the how well the firming cream works. As I’m getting older, I’m starting to see signs of aging — particularly in my neck. I would love to try this to help that problematic area out. Hey, anything that is number one in the market is good, right? Plus, I have a neck that is not as firm as I would like and I worry about wrinkles and that crepepaper look. if any thing will work for my aging neck Strivectin will!! I’m excited that the results are incredible. I’m excited about trying the #1 neck tightening cream on the market because I love Strivectin products. Just what it claims to do. Well anything that is number one on the market has to be good!! I really want to find out if it’s too good to be true- or if it really is the perfect cream! The results from this neck cream are impressive and got my attention to use on my own neck. This would be a late Christmas gift for my Grandmother. She would love it! I like Strivectin products and this looks like a good one! 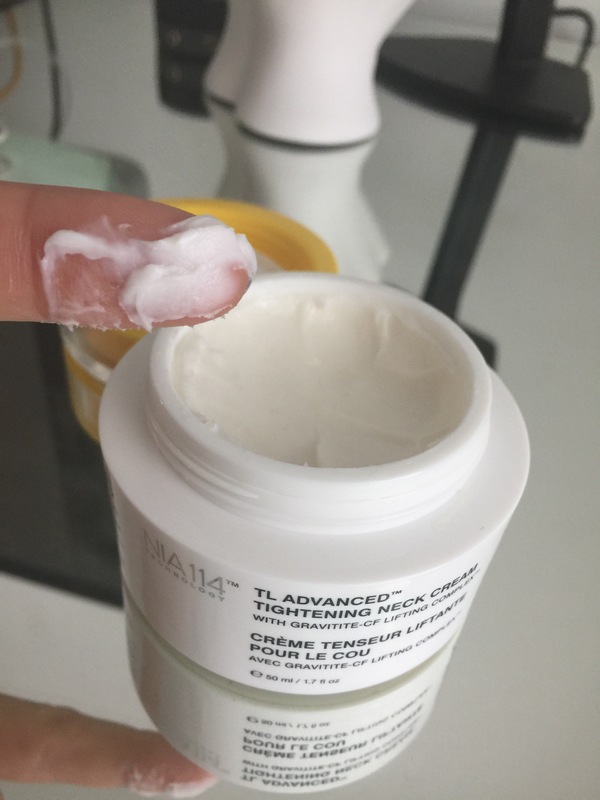 I’m excited that this cream just might work!! My skin is getting crepey and I am hoping this will help. My neck is starting to look old and saggy! What excited me the most is learning that this cream designed specifically for the neck!